LET’S MAKE A DEAL: Remaking a Game Show Classic! 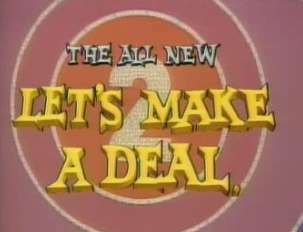 A full fledged remake of “Let Make A Deal!” is being prepped for production. An audience was brought-into the studio earlier this week for a number of run-throughs as the producers of the show auditioned potential hosts for the remake game show. Some audience members even won $100 in cash! More updates on this as we get them.